Taylor Widener has had a pretty decent spring. On Wednesday, he was perfect. MLB.com's No. 82 overall prospect retired all nine batters he faced with three strikeouts as the D-backs carried a perfect-game bid into the seventh inning before topping the White Sox, 11-2. Getting the spot start, Widener utilized four groundouts in the spotless effort. Arizona's No. 3 prospect spun two one-hit frames in each of his last two Grapefruit League outings before being reassigned to Minor League camp last week. Widener has six strikeouts in seven big league innings. 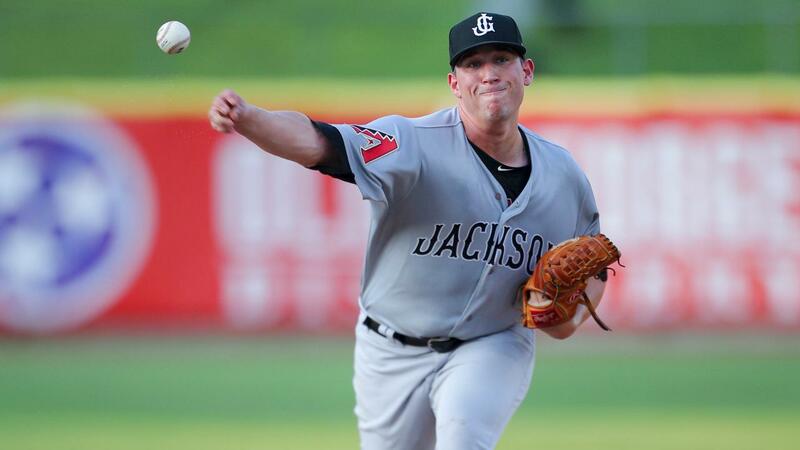 In his second full season, the University of South Carolina product went 5-8 with a 2.75 ERA, 176 strikeouts and 43 walks in 137 1/3 innings over 26 games (25 starts) for Double-A Jackson. That punchout total ranked second in the Minor Leagues, two behind the Orioles' Dean Kremer. The perfect-game bid ended in the seventh when D-backs No. 14 prospect Yoan Lopez allowed a leadoff homer to Ryan Goins. Lopez's final line was a run on two hits with a strikeout in 1 1/3 innings. With his father, Allen, who is the White Sox director of strengthening and conditioning in the other dugout, D-backs No. 7 prospect Alek Thomas drilled a three-run homer in his only at-bat. Geraldo Perdomo (No. 6) laced a triple and Jake McCarthy (No. 8) knocked an RBI single. White Sox No. 10 prospect Luis Gonzalez belted a double and came around to score. Michael Fulmer's injury has opened up a spot in the Tigers rotation, and Spencer Turnbull is doing his best to claim it. Detroit's No. 19 prospect struck out seven over five scoreless innings at Spectrum Field. He allowed three hits and walked one. After yielding only a single to Cesar Hernandez over the first two innings, Turnbull struck out the side in the third before giving up back-to-back singles to Jean Segura and Bryce Harper to start the fourth, although Segura was thrown out trying to advance to third on Harper's hit.